Added on 04 July 2018 . By Anisah Audu. So it's date night but you don't want to leave the pup at home? 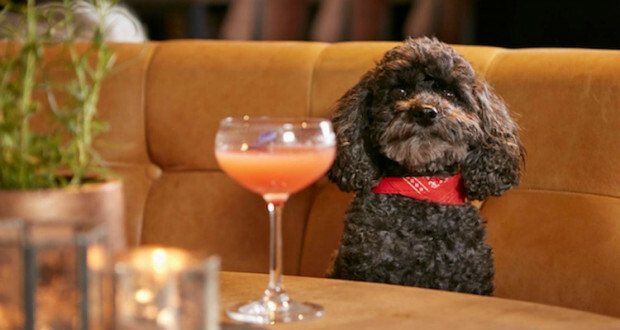 No problem, because this stunning restaurant bar is canine-friendly! This is the latest outpost from Drake & Morgan; the brains behind Spinningfields hideaway The Refinery. Whether you're looking for after-work drinks, a classy brunch or somewhere special for the whole family, The Anthologist does it all. Food comes in the form of a fusion menu, drawing influences from around the world. You'll also find all day dining menus and superb choices for kids, alongside vegan and vegetarian options. Cocktails have a particular focus on botanical blends, with highlights including the punchy Brie, which combines gin with grapefruit. wildflower honey syrup and rosemary tonic. Take in views of St Peter's Square on the gorgeous summer terrace, which is ideal for the warmer months.